Okay. So, it’s been 1 month since my last post and yes, I feel really, really bad for my tardiness, but, let me explain why. It turns out my oldest did quite well on her ACT a few months back and so on the weekends we’ve been touring campuses for her future college. Its been a very surreal experience for me, and an eye opener for her. Don’t get me wrong, I’m enjoying touring the colleges with my daughter and I’m sure that whichever one she finally decides on to be her new home will be the right choice for her, but it still feels weird. I’m very proud, but it’s still weird. For my life in Azeroth I’ve been busy raiding 3 nights per week. I’m doing 1 night in regular 10 man raiding, and 2 nights per week in flex raids. On the weekends I’ve been running in pug-flex groups on both the Alliance and Horde sides too. I’ve been quite busy in game and busy IRL, and to tell the truth I’ve been loving it. And while I feel like I’m getting a lot of things accomplished my blog has sadly been getting neglected and I hope this post makes up for it. Believe it or not, I’ve written several posts that I just haven’t posted yet. The first one, which is my own little version of a Demonology 101 guide I’ll post next and it’s not really little. In fact, I think I’m driving myself nutty with all of the revisions I’ve made in trying to cut it down in size. The second post, which I’ll put up a little later this month, takes a closer look at our demons and their skins. It might sound gross, but it’s not what you think. 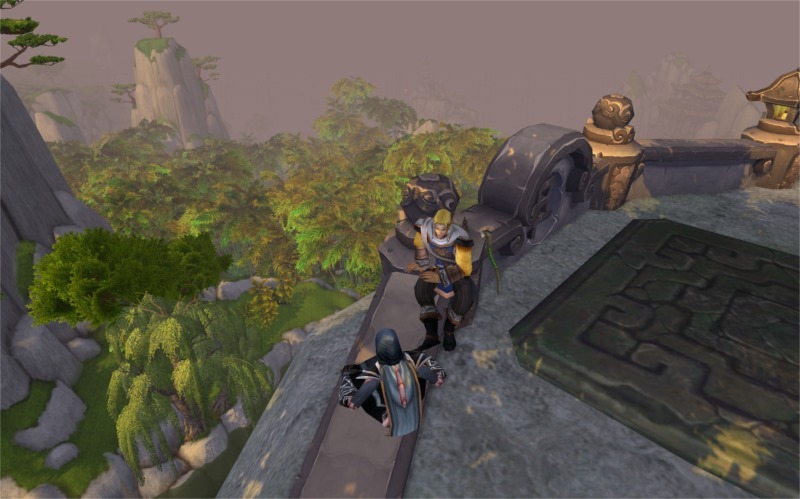 Following up on my in-game and online friends – or should I just say friends? A few weeks ago I was asked to be on the Training Dummies Podcast with Hend and Hotpox. It was an honor to have been invited on the show and I had such a good time chatting with the guys. As you know “live” shows make me a nervous wreck and of course in my dorky way I might have gotten a little long winded talking about warlocks with them. OMG, I went on and on and on about warlocks. Ya know, someone really needs to kick me when get to talking about warlocks and I can’t shut-up! /em slams head on desk in embarrassment. The good news is that Hend, who’s only ever tried Destruction, promised that he’s going to try Affliction and Demonology, and I promised that I’d go and help him get started. I’ll keep you posted as to how that turns out. I also would be remiss if I didn’t mention that Saga from Spellbound was on the Twisted Nether Blogcast last month, and so was Ambermist from Tastes Like Battlechicken. I really enjoyed hearing both of them since I’ve followed their blogs for some time I’d like to personally say thank you to both of them for sharing their stories, and a special thanks goes to the TNB for doing the interviews! Also if you haven’t heard, @Eljeppy and @Ashayo have started their own podcast called WoWGeekly. I really enjoy hearing those two talk about their experiences playing the game, and they always make me laugh because they tell just as many stories as I do (but theirs are funnier). Nice show gentlemen, you have a friend and a fan in me so keep up the great work. I’m also very proud of my friend @Leetawow for all of her hard work and the success she’s having with her show that I’ve mentioned before called, Behind The Avatar. When you get time go and check them out! About two months ago, I was very excited because I received an email from Ghemit wanting to know if I’d be a guest on the Lets WoW Podcast for their Halloween special with him, Dae and Uno. Of course I told him I would, but sadly about two weeks ago I saw Twitter explode with people talking about Ghemit leaving WoW. I just assumed that the holiday show he asked me to be on was cancelled, but you know what happens when you assume ;) It turns out that they still planned on doing the show, and Ghemit is just taking a break from the game and he plans to come back. He’s going to Blizzcon if that tells you anything :P So lucky for me this past Sunday night I spent 2 hours chatting it up with the Lets WoW Podcast crew via Skype. I had such a great time and those guys are a lot of fun! I also learned you need to be careful for what you say when you think people have a microphone turned off ;) So checked out their latest show called, “It’s not my fault!”. Here’s a few teasers I’ll toss out about my visit with the Lets Wow Podcast crew. First, Dae cosplaying a troll while Uno does a voice-over for her is classic! Go watch that 1 minute clip like now! 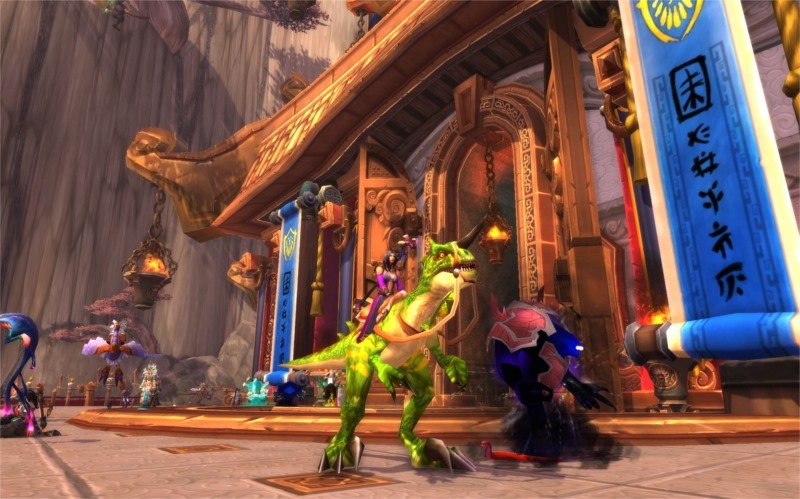 Ghemit plans to “Derp a Developer” at Blizzcon, and I promised to give their next contest winner any in game mount of their choice. To enter the contest for a chance to win the mount all you have to do is email what question you’d like to see Ghemit ask a developer at the convention. Whatever question Ghemit picks to ask wins! So the more crazy and bizarre the question the better! Just submit your question to: ghemit @ letswowpodcast. com (with no spaces). The deadline for your question submission is November 9th and you can’t win if you don’t enter! If I don’t say it often enough then I have to say it again. I am so very thankful and humbled for all of the great people and friends I’ve met from playing WoW and from having started this derpy little blog about warlocks. It amazes me to no end! Sadly, I have to be honest in the fact I just can’t keep up with all of the WoW podcasts anymore. I still try to hear as many as I can during the week, but I think there’s well over 60+ shows now that are dedicated to WoW. OMG, that’s an insane amount of shows dedicated to one game and it’s jut too many for me to keep up with on a weekly basis. I do my best and try to listen to as many as I can, but now I’m playing them on Stitcher Radio as 1.5x speed just to stay current. Hey, it works so I can’t complain. What? Demonology? Why you no run Affliction or Destruction? Yes, it’s true. I’ve been running Demonology a lot lately and if you heard me talking endlessly on the Training Dummies (and you still managed to stay awake) then you might of heard my reasons as to why I’ve made a change. Let me just state that first and foremost, I am a warlock. I’m proud of having always played a warlock and it doesn’t really matter what spec I’m playing because at the end of the day I’m still a warlock. Despite the fact that I’m running more Demo lately, I still love Affliction even though I’m not quite happy with the new changes that arrived in patch 5.4. Believe me, the shrill cries from my enemies as my DoTs tick down on them still rings like sweet music to my ears, but the recent changes to Affliction have made the spec feel much more dependent on RNG procs than I would prefer. The once smooth and flowing rotation style of Affliction now feels like it gets humming along and then it’s like, “OMG a proc! SB:Soulswap and re-DoT all things again!” Affliction in 5.4 feels too reactionary for me to enjoy atm. For me, it’s like Affliction has lost it’s groove so to speak or at least the groove I felt when I played it. So I decided it was time for a small change-up in my play style to keep the game fun and to keep me from getting bored. Why did I go Demonology and not Destruction like a majority of the other warlocks out there? I know Destruction is fun, and I completely understand why people are loving big crits from Chaos Bolt hits like my friend Hend admitted on the Training Dummies show, but I can’t help to look at Demonology and think that it deserves some love and attention too. 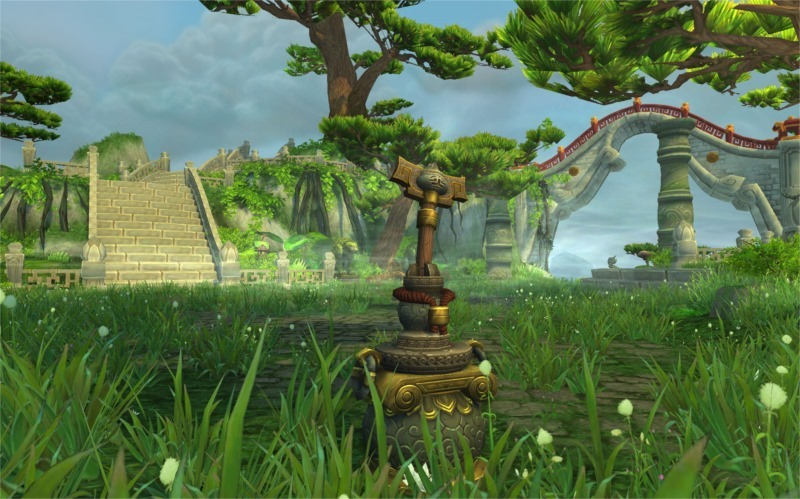 Let’s be honest, early on in the MoP expansion Affliction stood out in the spotlight and now it appears that Destruction is exploding once again (no pun intended) in popularity. 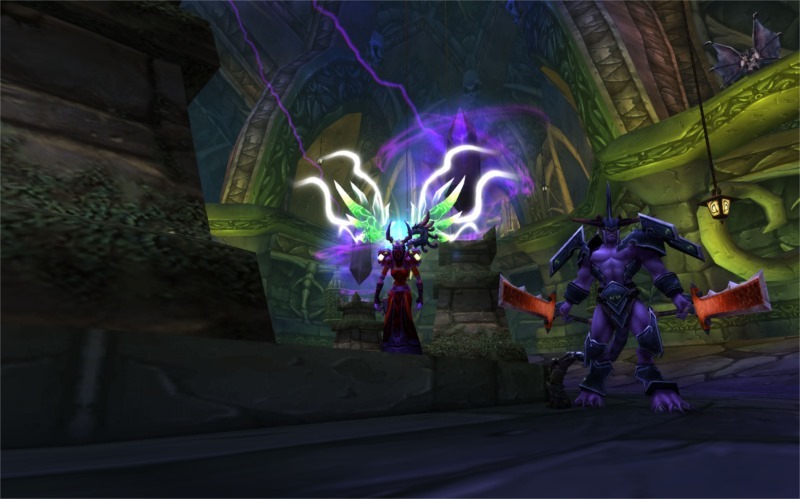 Demonology, on the other hand, has never really peaked in popularity like Destruction or Affliction and so I decided it was about time to explain why it’s a specialization I hope other warlocks consider playing, or to at least try out for an off-spec. Another reason I decided to go Demo is because it offers more planning and control with my damage as compared to crossing my fingers and trinket watching. 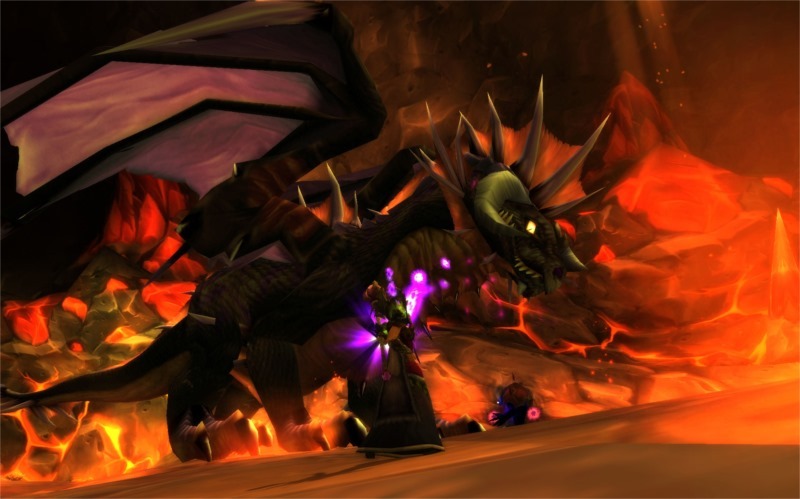 Why should you consider playing Demonology? If you’ve never run Demonology, or you had in the past but haven’t dabbled with it in quite some time, please consider trying it out. Demonology really isn’t that hard to learn, and believe me when the timing is right and all of your cooldowns are gtg your head will swoon from the intoxicating surge of demonic power you’re about to unleash. When you reach the snapping point in your rotation and you’re about to destroy everything that moment is glorious! If you’re a die-hard Destruction fan who gets excited about having your Dark Soul: Instability available just as bloodlust and/or heroism is popped and you have a spell bar full of embers, or if you’re an Afflictionist who cackles madly when your trinkets proc and you find that you still have enough shards for Soulburn:Soul Swap topped with plenty of Haunts, or if you never tried Demonology because you thought it looked too complicated and too confusing then I hope you consider dabbling into Demonology. So plan to stop back by and check out my little Demonology 101 Guide next week. When RNG pays off is it too good to be true? All Hallow’s Eve 2103 will be long remembered by me because two of the luckiest drops I ever got happened in the span of less than 40 mins, and like most things in my life it happened out of an accident. It all started when my youngest child woke up in the wee hours on Hallow’s Eve morning due to being sick. After finally getting him settled and back to bed it turns out that I was still wide awake and I couldn’t go back to sleep. So I logged into the game to check some auctions and it wasn’t long before a friend /w me asking if I’d give him a quick que for the Horseman since I have a healer and his toon is a dps. Okay fine. We finished the run without any problems and I left group to head to my farm to finish up my daily chores. When I arrived at the Halfhill Inn I started cleaning out my bags by the mailbox and when I clicked on the loot bag from the Horseman voila! Boom! The Reins of the Horseman sat in the loot window staring back at me. Needless to say, I passed out. When I awoke and I couldn’t contain myself from the excitement I began telling everyone what happend. From /gchat to /whispers to /general to /trade and anyone on my friends list…I told everyone. If you were logged in-game at that time you might have seen me spamming my macro of, “OMG I got the Horseman Mount!” Yes, I was quite obnoxious about it ;) Since I still had a few hours before I had to leave for work, and because most people at that point put me on ignore I thought to myself, “Why not go and run Onyxia’s Lair?” So can you imagine my surprise when after my first attempt (for the week) I see the elusive Reins of the Onyxian Drake sitting in the loot window? Needless to say, I passed out again. This time when I awoke from utter shock I wasn’t sure if I should tell anyone or not. First, I didn’t want to get put on ignore again, and second, I wasn’t sure if anyone would believe me. Heck, I didn’t even believe it myself. 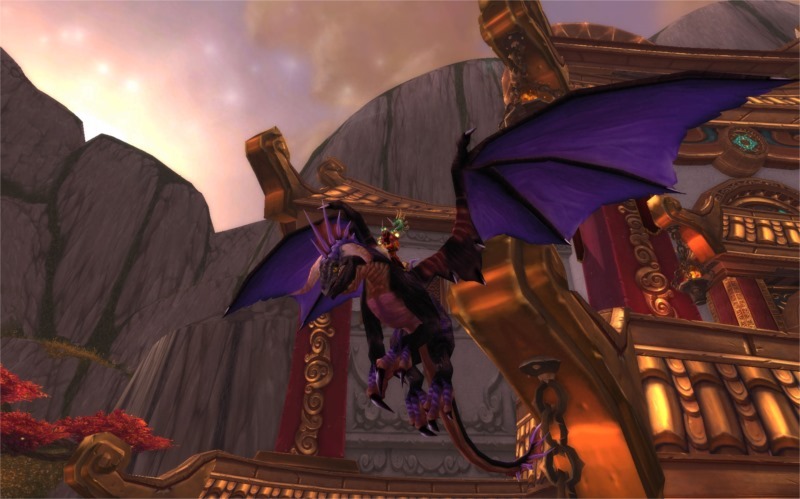 So I peeked back in my bags again and yep, the Onyxia mount was still there. Needless to say I passed out a third time. 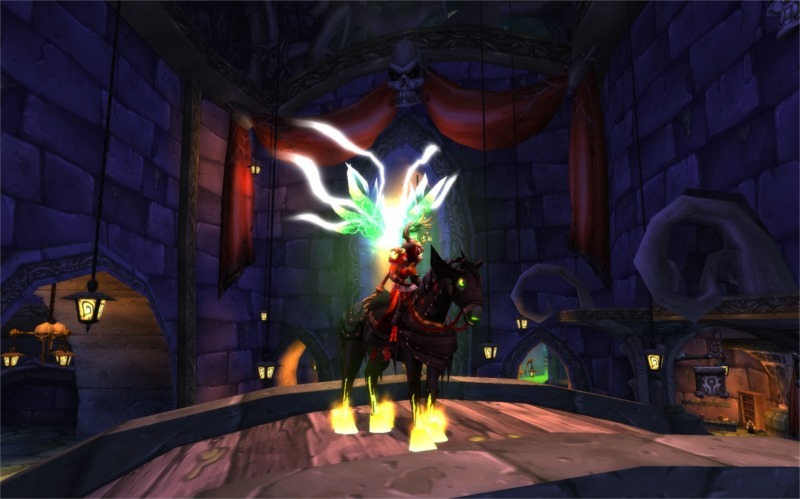 Now before you hate me for what might be considered bragging please keep in mind that I’ve run Ony every week on 6 toons for what feels like forever, and I have been running all of my toons for the Horseman’s mount every year as well. Please consider that both of these drops occurred after many failed attempts. I’m just quite dumbfounded that they finally dropped in under an hour on the same day. Holy crapolie! Another lucky thing had happened to me just a few days before the rare mounts dropped too. I was on my Alliance Hunter and decided to check to see if Portent, the rare Quillen, was up. At the first place I stopped to look I came upon a set of tracks that didn’t continue further along the trail. I immediately tossed up a flare and there before me shimmering in the yellow glow of the flickering light was Portent. Out of the four different colors that this hunter pet can appear in this particular Portent was even in the color I was wanting too. I guess with all the bad RNG I’m having in not getting any decent gear drops, or secret drops, or runestone drops via raiding, when RNG pays off elsewhere in the game for me maybe it just seems too good to be true? Have a safe journey and enjoy the fun, and please make sure to send lots of pics on twitter! Have a great week everyone and have a great convention! Good to see you’re still around! I’m really looking forward to see Demonology guide! I play Destruction and sometimes Affliction, never tried Demo. I think it’s pretty cool spec, but I don’t know how to start. So your guide will be godsend for me. I’m running a little late Ayllix and hope to have it out by this Friday! My biggest problem is myself because I keep revamping and rewording everything when I go back to revise a few days later. I think I like self abuse way too much ;) Demo is fun and you might find it to be a nice change. I’ve opened monkey boxes all of like, one or two times. Spend coins to get coins? NOTHX. So they say there’s a pet in there. So they say there are those fancy Burdens of Eternity, too. You just need to spend MORE coins!. I’ve spent close to 10,000 coins with mr monkey and have the pet, a great set of plate legs my lock can’t use, and plenty of timeless necks (which I won’t use). I did get 1 Burden of Eternity, though. Used it on a pair of shiny new shoulders, which I immediately replaced with a drop from LFR SoO. I tried it about five more times and the Ookin Hoozen ripped me off again. Each time I get less gold than what I spent. I know there’s a Blizz employee laughing somewhere over my misfortune too. All of what you say Prinnie is completely true. It’s all lies I say and none of them exists! Good to see you again. I enjoyed the warlock rap you did recently for CTR. And I identify with your RL happens. I’m getting back in, casually, after RL and some gaming ADHD that took me through the Mass Effect series (and multiplayer which is still pretty fun and populated). Looking forward to your article on demo as I try to decide whether to go destro or stay demo in 5.4 with my still 502 ilvl. Finally realized there’s a new version of weak auras out so demo + UVLS should still be pretty good despite the nerfs, or at least it was shortly after 5.4 before WA broke. Demo is tons of fun. 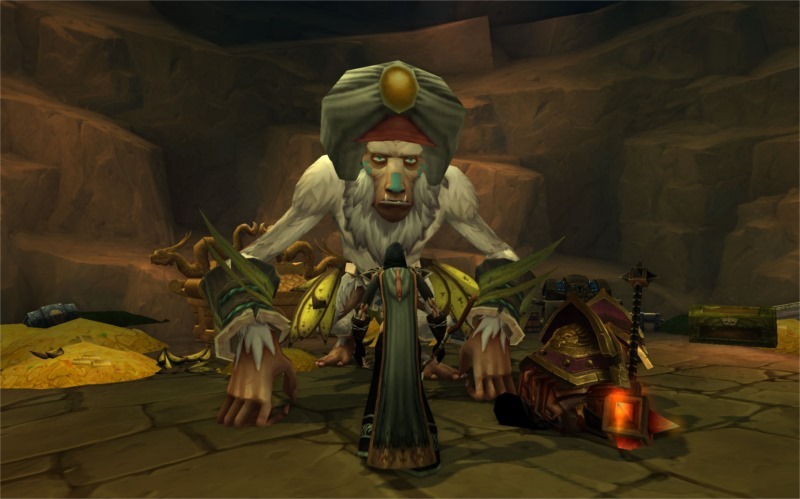 ran that dungeon on 2 toons and sadly that mount still eludes me. Personally, I’ve spent a ton of the coins with coo-coo-a-roo. First week of the expansion, lots of awesome cloth loots, but after the recent patch, now it ranges across the board. Still hoping to either get a cloth head or cloth legs to use my burden of eternity on. 1 dropped from said boxes. One is guaranteed in the Blazing Chest. Just need a crew to help you get to it. I saw a pretty hefty spike in demonology’s popularity I’m 5.2-5.3. 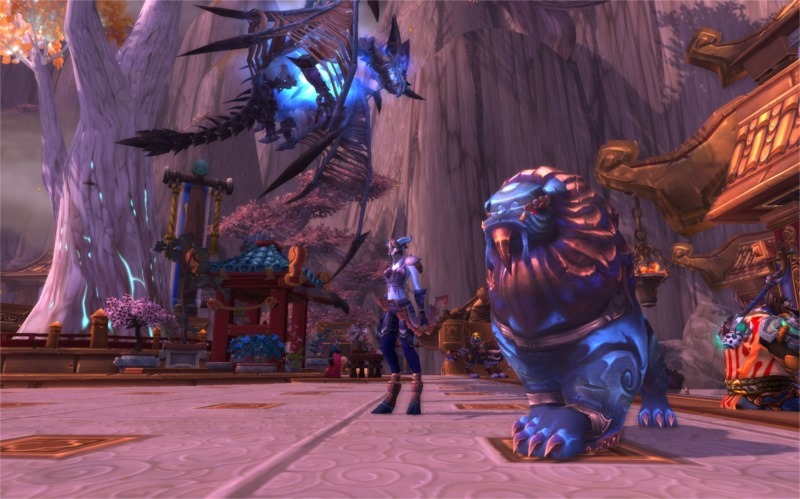 People were clamoring over doom with the lei Shen trinket with the imp swa glyph. Affliction had fallen and a lot of people I bumped into felt like destruction was a vanity spec. As much as I’ve heard people discussing the Lei Shen trinket and talking about how great it was I still haven’t seen that many Demo locks from either of the two servers I play on, or in either of the battle groups they’re assigned. Destruction is by far the most popular spec atm. Just go visit Icy-Veins and in the listing of most popular guides the warlock Destro guide has been in the top 10 listing for months! I shall and thank you so much!